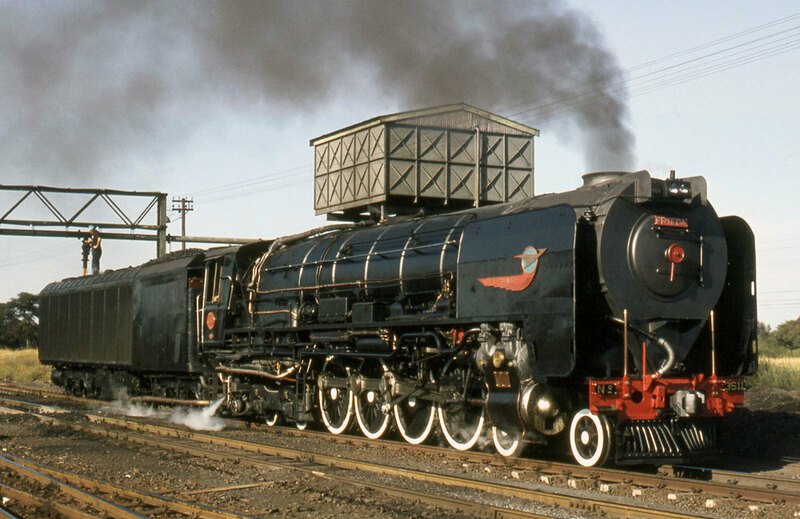 South African Railways (SAR) Class 26 number 3450 (nicknamed the "Red Devil"), is the product of mechanical engineer David Wardale’s 1981 rebuilding of a Class 25NC 4-8-4 steam locomotive. The rebuilding, performed at the Salt River Works in Cape Town, South Africa, was based on the works of the Argentinian mechanical engineer L.D. Porta, with whom Wardale corresponded during the modification. 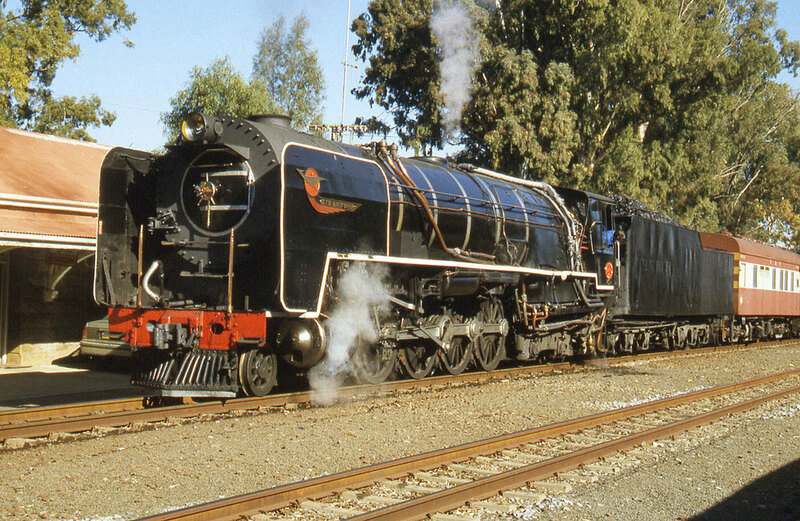 The SAR Class 25 and 25NC 4-8-4’s were a group of 140 locomotive purchased by the South African Railways, delivered between 1953 and 1955 by Henschel and Sohn as well as the North British Locomotive Company. These locomotives featured all the then-contemporary American improvements: one piece cast steel frame with integral cylinders, roller bearings on all axles and motion, as well as mechanical and pressure lubrication. The last built Class 25NC, number 3450, entered service in 1953 built by Henschel and Sohn, construction No.28697. Even though SAR management had already decided to replace all steam traction with electric and diesel-electric power, Wardale was determined to show that the efficiency of steam locomotives could be greatly increased. With the help of Argentinian mechanical engineer L.D. Porta, Wardale set about on a major modification program including the installation of the Gas Producer Combustion System (GPCS) to improve combustion efficiency and the Lempor exhaust system to improve the power output of the cylinders. At the end of 1979, the rebuilding of number 3450 to Class 26 began. Several SAR mechanical facilities were involved in producing new parts of modifying existing parts, including: Salt River in Cape Town, Bloemfontein, Beaconsfield in Kimberley, Koedoespoort in Pretoria and Pietermaritzburg. The modification work had three main goals: 1) improve the combustion efficiency and increase the steam production, 2) reduce smoke emissions and 3) eliminate clinker problems in the firebox. 52% Increase in Drawbar Horsepower. Equally impressive is that the locomotive ended up being cheaper to maintain and operate than diesel-electric locomotives on the railroad, due in large part to its modern construction, the low cost of fuel, and the application of advanced water treatment. The following table provides a comparison between the Red Devil and other locomotives in operation today. 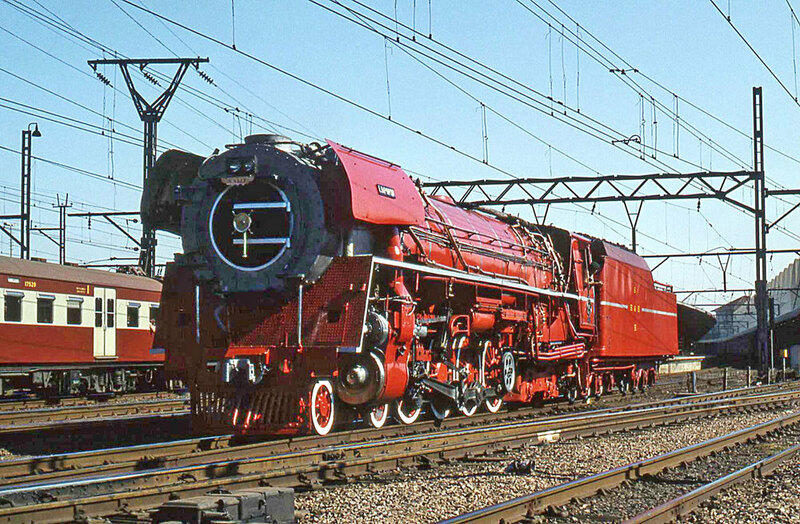 It was announced earlier in 2016 that the Red Devil was moved from storage at Monument Station in Capetown to a restoration facility for restoration to operation. The locomotive is set to be used in conjunction with the Ceres Rail Company excursion operation, hauling trains on the mainline between Cape Town and Wolseley. It is unclear whether the locomotive, which had been significantly de-modified, will be rebuilt as a Class 25NC or converted back into a Class 26. Older PostNew Mainline Steam in the South?